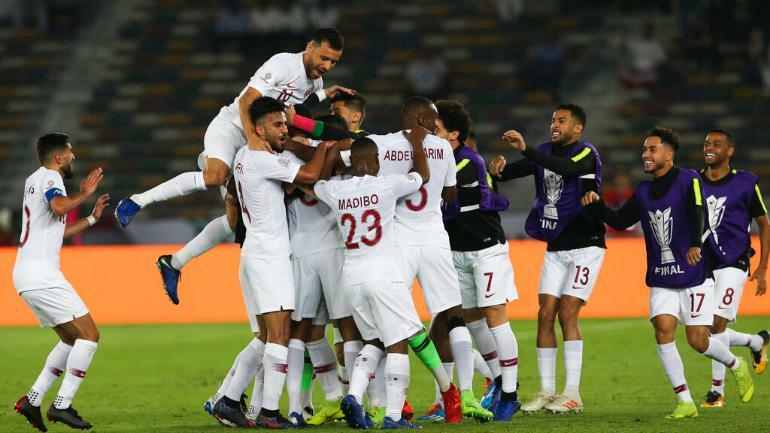 Qatar national football team beat Japan 3-1 to win the AFC Asian Cup 2019 crown in Abu Dhabi on February 1, Ali Almoez, Abdel Hziz Hatim and Akram Afif (from a penalty) found the target for Qatar while Takumi Minamino scored for Japan. Earlier, Qatar took full control of the final after Almoez scored his ninth goal of the tournament, and Hatim nailed a scorcher to give them a 2-0 lead going into half time. Japan, who began the match by controlling possession, lost shape after the two goals and were looking out of sorts and out of ideas up front. Simply on this game’s showing Qatar deserve this.They have been strong at the back, and looked dangerous regularly on the counter. Hatim’s was the perfect blend of philistine sledgehammer and artistic placement. Japan stormed back in the second half and had Qatar in all sorts of bother. They pulled one back, and then a refereeing error killed the fun of the game.